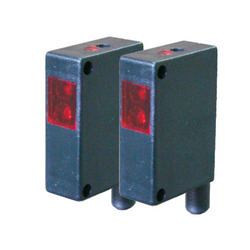 We are a leading Manufacturer of through beam sensors, small rectangular through beam sensors, through beam dia m18 - cylindrical, through beam dia m12 - cylindrical, through beam extended head and through beam rectangular from Nashik, India. 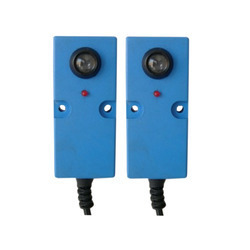 Electronic Switches (I) P. Ltd; offers Through Scan Sensor ( Transmitter and Receiver type ) in Rectangular, ABS plastic housing with 3/10/20 mtr. range. Units operates on 10 - 30 V DC supply. With sincerity and hard work of our professionals, we have carved a niche for ourselves in this domain by offering Through Beam Dia M18 - Cylindrical. This beam sensor is manufactured by our experienced professionals by utilizing high grade raw material and sophisticated technology. 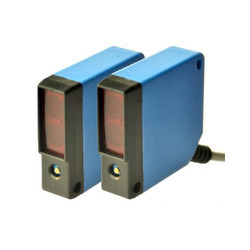 Offered beam sensor is accessible in numerous specifications so as to meet the demands of customers. Besides, this beam sensor is stringently tested on various quality parameters to ensure its defect free range. DETAILS Electronic Switches (I) P. Ltd; offers Through Scan Sensor (Emitter and Receiver type ) in 18 mm dia; Brass or ABS Plastic housing with 3 / 10 /20 / 30 mtr. range. Units operates on 10 - 30 V DC supply. Sensitivity adjustment is available to Transmitter to adjust the range. Sensing Range : 3 / 10 / 20 / 30 mtr. With firm commitment to quality, we are presenting for our clients a vast range of Through Beam Dia M12 - Cylindrical. The offered beam sensor finds application in almost every industry where high sensing range, miniature construction is required. Our beam sensor is inspected on several parameters in order to deliver defect free range. Additionally, this beam sensor is accessible in various specifications as per precise requirement of clients at reasonable prices. DETAILS Electronic Switches (I) P. Ltd; offers Through Scan Sensor ( Transmitter and Receiver type ) in 12 mm dia; plated Brass housing with 3 mtr. range. Units operates on 10 - 30 V DC supply. We are reckoned manufacturer and supplier of premium quality Through Beam Extended Head. This beam sensor is developed in sync with the standards of industry by our highly qualified professionals using optimum quality raw material. The offered beam sensor is offered in various specifications as per the specific needs of the clients. The emitter and receiver on beam sensors are aligned opposite one another. DETAILS Electronic Switches (I) P. Ltd; offers Through Scan Sensor (Emitter and Receiver type ) in extended type. Units operates on 10 - 30 V DC supply. Sensitivity adjustment is available to adjust the range. It is available in 6 / 8 / 12 mm extended housing with range 500mm/500mm/ 1 mtr. resp. Amplifier is in M 18 housing.